“What is bsnl jao salary after 7th pay commission ? What is bsnl jao salary after 3rd prc ? What is bsnl jao inhand salary ? BSNL JAO Salary | Allowances | Job Profile | Promotions – BSNL Junior Accounts Officer (JAO) is one of the popular job commerce graduates. Therefor many of the commerce candidates always want to work with BSNL as JAO. Craze of JAO is not only because of its handsome salary but also because one will work with India’s largest organization in the field of Telecommunication. 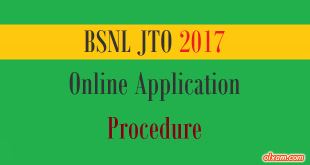 Many of the aspirants have asked us about BSNL JAO in hand salary, pay scale & various allowances applicable to this post. * EPF – As per Government Rules every employee has to have an EPF account number. EPF Contribution is deposited directly in the EPF account of the employee i.e. it’s a terminal benefit (Post Retirement) but is not included in salary. # 7th Pay Commission for JAO : There is a separate pay revision for BSNL employees. It is commonly known as PRC. Above salary may be increased approximate 15 to 25% after 3rd pay revision committee’s recommendation w.e.f. 01/01/2017. Q.1 – What would be BSNL JAO salary after 7th pay commission ? A.1 – There is a separate pay revision for BSNL employees. It is commonly known as PRC.